Hi everyone…. Does anyone remember me!? This work of mine is totally based on the serial track of Swaragini. There will be some changes in the plot,u shall witness the story from the beginning. ~How would it have be if there was no swara-laksh-ragini’s love triangle!? Then who would make the pair with Lakshya!? It starts with someone singing bhajan at kali baadi.Her hands are folded with eyes closed.Lord Krishna idolin was infront of her. It was a Janmashtmi day.All people thete at kali badi gathered together to celebrate the day and get Lord Krishna’s blessings.Some women there praised the girl who was singing with a sweet voice. The girl’s face was revealed to be Ragini. Mean while Dadimaa and those women who were listening to Daadi turned somewhere where they found a girl in Western outfits joined Ragini who was in traditional attire. A lady interrupted them,”hahaannn…natani(grand daughter) kiski hai….I am Swara’s dida and i am so proud of her”,sating so she looked Daadi who was irked already. Dida:what Parvati! !are u jealous of my Swara(she giggled) that everyone are praising her. Dadi: eyy bangalan…u r just crossing ur limits. Ragini felt bad for swara with Dadi’s words,Swara felt hurt but she managed not to show out. And also Swara and Ragini tried much to stop the quarrel between their grandmother’s. Dadi’s words wounded the hearts of Bose family including Sharmishtha who was listening all this from the door step of her home. Dida in return criticized Ragini and said that no man will come forward to marry Ragini and Dida even challenged dadima tat she will stop Ragini’s wedding some how.Dida also challenged dadi that she will get swara married before Ragini. Dida: Shona(Swara)…I will always be on you.What ever i di will be for your good,u just trust me. (swara smiled blankly). Dada jii: Arrey…y to hurry for that.we still have time to think about it. Dada frightened a lil with Dadi’s roar where as Ragini was listening it patiently. She opens her eyes when she feels someone cupping her cheeks.She smiled among tears finding her Janki maaa before her. All could be heard is Ragini’s crying.Janki caressed Ragini’s head while hugging. Janki: Beta…dadimaa had struggled much all these days to bring u up. (they broke the hug,Ragini looked her Maa with tearful eyes)Vishwass rakk…dadimaa par..
To which Ragini nods her head. Janki: what ever dadimaa does is just for your well being.Ragini…u mean her world.She just want to to be happy in ur life.She loves you as I do.She had grown u up inplace of me just like how a mother grows her child. I am not in this world with you.And ur dadimaa is fulfilling her duties as a mother more than a grand mother. In a road a car was drive in a high speed…. Janki: Believe her… she will bring u a prince who will just love u..only u…. Janki: ur one tear will make his heart acheing. The boy keeps down the beer bottle above the roof of his car and looks at one of the the girl near him who was pouting.He kisses her cheek and she smiles heavily and hugs him. Ragini looks happy hearing her mother.She smiles as if her prince charming will come to her soon. The screen splits with Ragini and Lucky’s happy faces. 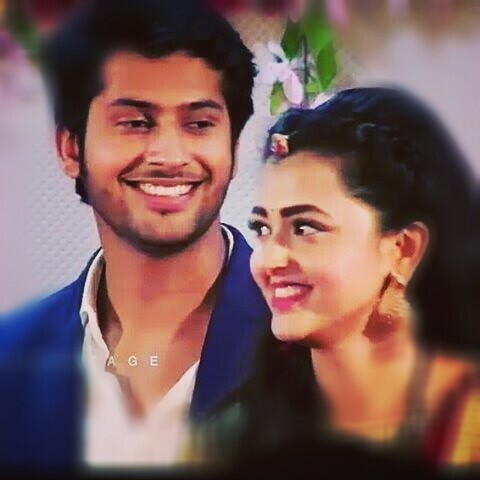 The post Strings of Hearts (Raglak ff) – Part 1 appeared first on Telly Updates.